As the UK slowly makes its way out of its financial crisis, many homeowners are becoming more frugal with their finances. Finding the right energy supplier can go a long way when it comes to saving more money. With a plethora of suppliers available, each offering great deals, homeowners are now more than ever reluctantly committing to long term contracts. By finding the best deals in your area consumers can find themselves with more money in their pocket enabling them to spend on their home rather then bills. Recently I myself found joy using an energy comparison site to switch suppliers, saving an astonishing £160! So in order to help other homeowners like myself, I decided to compile a useful list so you too can save as much money as possible and cut the cost of living. This isn’t really that difficult, but it’s without a doubt one of the easiest ways for you to save money! Ofgem stated that last year over four million people made considerable savings by switching energy suppliers, on average about £150. Make sure you do your research before tying yourself down to a long term contract. Your wallet will feel a lot heavier! Your boilers average lifespan is about 10 years, after that it starts becoming less efficient and less reliable. If you show your boiler some TLC by getting it serviced regularly, it will allow you extend its life. 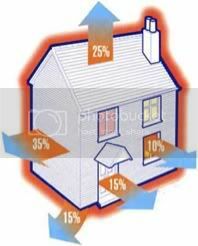 If you take time to insulate your home, you can dramatically reduce energy consumption. Insulation acts like a blanket helping to keep heat in. This helps reduce heating costs. According to The Energy Saving Trust people can save up to 10% on their heating bills, simply by reducing their thermostat one degree centigrade! Simple, I know! Another great way for home owners to save money is by buying cheap, practical and energy efficient light bulbs. Costing as little as £3, these bad boys last 12 times longer than the ordinary ones! 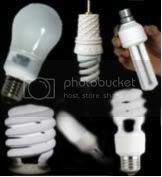 With advancements in technology, energy saving light bulbs now come in all shapes and sizes to suit every ones taste.